Critically acclaimed for his stylish cinematography, David Johns has a portfolio of work that includes top-rated factual series, award-winning documentaries and arresting commercials. 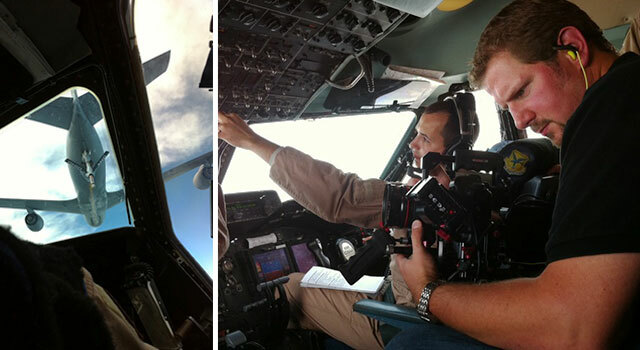 David recently lensed Mighty Planes, Discovery’s international hit series, as well as other popular shows such as Nerve Centre and Holmes Makes It Right with HGTV star contractor Mike Holmes. David has also shot hundreds of hours of factual television for CTV, CBC, Food, Slice, and W Network. Passionately committed to long form, his documentary work includes two award-winning films by Catherine Annau, most recently Brick by Brick: The Story of the Evergreen Brickworks, and also the James Beard Award winning Morimoto R.A.W. for the Food Network USA. His corporate clients include top brands such as McDonald’s, Tim Hortons, LG, Proctor & Gamble, Intel, and IKEA. David continues to hone his craft, blending the worlds of documentary and commercial, offering a unique combination of story and image.